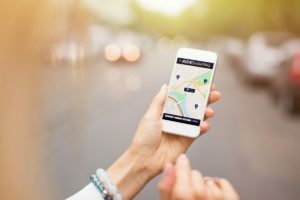 DeJoy, Knauf & Blood LLP//Blogs//Is Lyft really a Unicorn, or a Black Horse leading us to the Next Dot-Com Bubble Burst? Lyft went public this week. Why do companies such as Lyft keep going public without having any profit to show for it? The last time we saw this type of activity on Wall Street was during the dot-come bubble burst. Lyft, Inc, was valued at $24.3 billion in the first initial public offering of a ride-hailing startup. Its main competitor, Uber, is expected to be valued anywhere from $76 billion to $120 billion. However, both companies are immensely unprofitable. How is there such a high valuation for companies that are losing money? Why do People Invest in Unprofitable Companies? Essentially, investors focus on the future potential. The company may be unprofitable right now, but they believe with future service and product R&D, and eventually market entry, that these investments will pay off big. However, companies need to make sure they focus on what going public could mean for their culture and brand. Lyft has been on the NASDAQ for a little over a week. There are already reports of drivers, who power the app based service, on strike due to low wages, and unsatisfactory conditions. What are these types of stories going to do to Lyft’s IPO? Two days after Lyft went public, its IPO dropped below its initial offering price. However, I think it’s too early to make long-term conclusions on what Lyft’s stock price will look like two years from now. How was Lyft’s Valuation Calculated? With a company that has lost money every year and continues to remain highly unprofitable how is a valuation of $24.3 billion calculated? Strong growth in active riders likely to continue. In 2017 Lyft saw over 100% growth in active riders and another 60% in 2018. Right now forecasts are projecting total rides to increase nearly 50% to over 900 million for 2019. Stable revenue per ride and growth in number of rides. Right now forecasting $12 billion in gross revenue for 2019. Comparative to Uber, Lyft had 100% revenue growth where Uber slowed down to just over 40% in 2018. Will the forward revenue multiple of 7.5x, projected by Forbes, look conservative in the coming years, or will Lyft be the start of the next great dot-come bust? Time will tell.